Shows are at 7:00 PM nightly with a 1:00 PM Saturday matinee. Tickets can be purchased online using this link through 11pm tonight (3/20/19). Ticket Prices at the door are: Adults $10, Students $7, Seniors $5. Enjoy this magical tale that starts when a wandering enchantress transforms a cruel and vain prince into a hideous Beast, leaving him only one way to reverse the curse – fall in love with another and earn her love in return. Belle, a beautiful book-lover, encounters the Beast when she arrives at his castle to plead for her father’s freedom, ultimately trading her own for his. 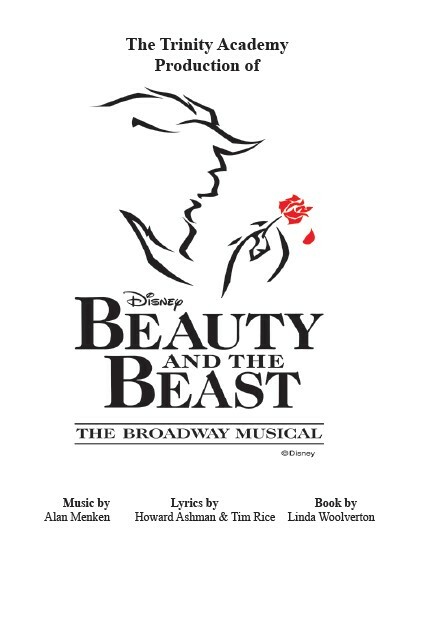 As tension over her imprisonment escalates in the town, spurred by Gaston, the selfish lover who seeks Belle’s hand in marriage, the relationship between Belle and the Beast grows, leading to an emotional, and transformative, conflict. You’ll laugh, you’ll cry, and you are sure to sing-along. Plan to join us for this entertaining show.